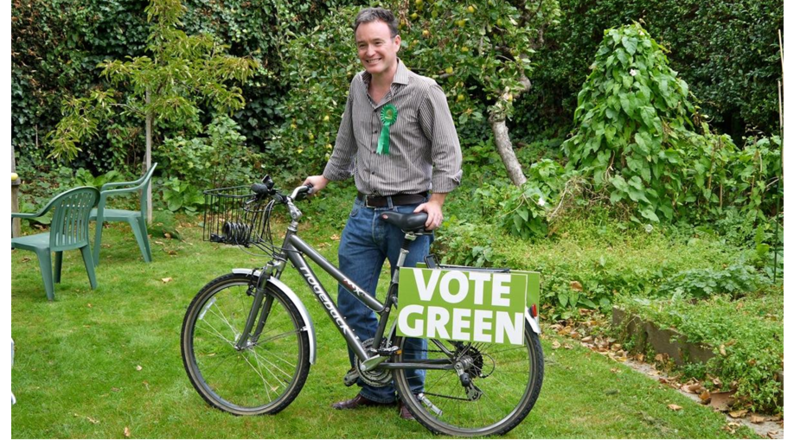 Alexis Rowell for a Greener Camden: What does success look like in the context of the new Conservative-Lib Dem coalition? What does success look like in the context of the new Conservative-Lib Dem coalition? I've been slow to judge the new Con-Lib government because I wanted space to think about what it all meant first. I know Lib Dems who instantly left the party because of the link-up with the Tories. I know others who've pronounced themselves more Lib Dem as a result of seeing Lib Dems in government. I'm not yet 100% sure what I think so I've decided to wait and see what actually happens. Out on the streets of Haverstock ward where there's a Camden Council by-election next week it's been difficult to explain what's happened in the requisite 30 seconds, even for me, a former salesman and broadcast journalist. It's easy to knock the national coalition - "you've sold out to the Tories", "I voted Lib Dem and got the Tories", "you had a chance to form a once-in-a-lifetime coalition for progressive change" etc. But it takes about ten minutes to explain to someone why the outcome is the least worst option, to coin a phrase used by Winston Churchill to describe democracy, and why, if it goes well, it could be the most progressive government since 1945. Labour had 13 years to do some or all of that but they didn't. It beggars belief to imagine that some or all of that was on the table in the last 24 hours of Gordon Brown's administration. Especially given the noises off from elsewhere in the Labour Party. There was no progressive coalition on offer, Labour is no longer a progressive party and anyway, the maths of a Lib-Lab coalition in terms of seats in the House of Commons simply didn't add up. Then look at what's actually in the coalition agreement - virtually all of the Lib Dem manifesto ie fairer politics, fairer taxes, fairer education and a greener society. There are some notable fudges such as nuclear power (which I'll come back to another day), but, if the coalition holds together, it's actually quite impressive and progressive - especially on the environment. If Labour had put together a programme like this it would have been hard for most progressives not to have supported them. Of course the question of whether the Con-Lib coalition will hold together is the key one. If it does, then we get a lot of good policies like the break up of the banks, an end to outrageous banking bonuses, a proper post office network and a focus on renewable energy rather than "clean" coal. And maybe, just maybe, the British public will learn to love adult politics, as the Scottish and Welsh already have done - where politicians talk to each other and compromise rather than squabble like children. But perhaps the biggest thing in favour of the new government is this - surely it's better to have Lib Dems in government than having the Tories going it alone. By the same token I have offered to help the incoming Labour administration in Camden on environmental policy. They probably don't need my help but if they do, then I'm there for them. Some things - particularly the environment in my view - are far more important than party politics.